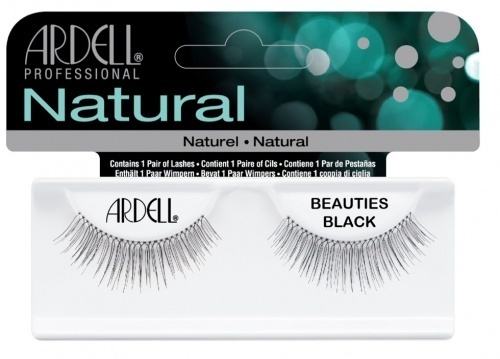 Ardell's top selling natural false eyelash style! Beautiful and natural looking lashes. #110 lashes are perfectly curved with just the right amount of length and volume to enhance your eyes. These lashes are graduated (shorter on the inside corner) and are great for everyday wear, so natural you won't believe they're fake. Great for your daily beauty routine. 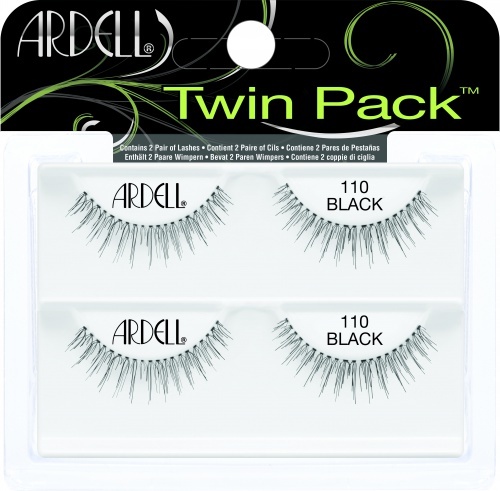 Many of false lashes look way too intense for the office and this is not the case with Ardell #110 Lashes, which has is so natural-looking people might start asking you what magical mascara you're wearing. This style is available in black and brown and is comparable to Andrea Modlash #21 lashes and Bullseye TAYLOR Lashes. For additional product details & how to apply information, please click HERE. 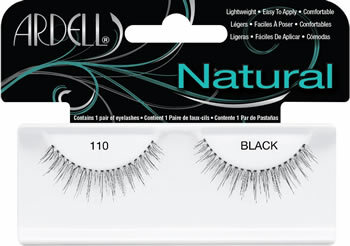 Note new packaging Fashion Lashes #110 may say Glamour or Natural on the cardboard insert. The different packaging contain the exact same lashes with the same manufacturer item number. They contain different cardboard insert (glamour vs natural) for marketing reasons. "Absolutely love these falsies lashes! 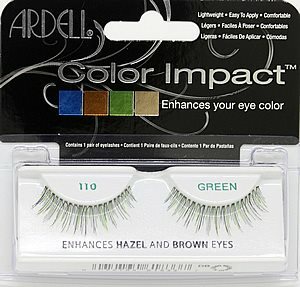 Ardell #110 are not thick and not super long. They are perfect with just the right length and volumet. They are full enough and the length is perfect for everyday wear. These don't appear to be "fake" in any way. For complete natural effect, throw on some black liquid liner to cover the lash band and you got the lashes you always dream of!" Step 1: Gently apply your favorite mascara to your natural lashes. 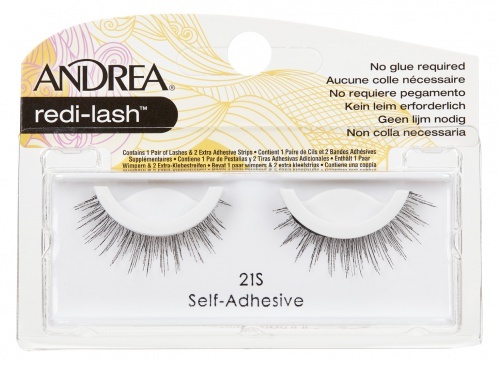 Apply 2 coats to create a good base for the false lashes. Step 2: Remove lashes from tray and size them to your lashline. With scissors trim any loose ends from the outer corner. Step 3: Applying the glue. Gently apply a thin layer of glue on the falsies lashline and let it set for 15-20 seconds. Step 4: Placing falsies to lashline. Whichever your comfortable, using your tweezers or fingers to help place them on your lashline starting from the inner corner out. Once they are placed to your liking, gently pinch the falsies and your natural lashes together to secure that natural look. 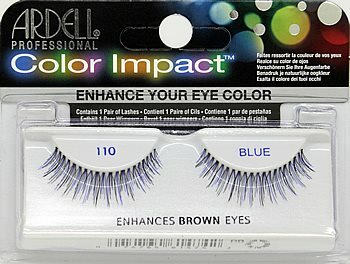 Great lashes, they add volume and length but do not look obviously fake. Easy to use and reusable. Definitely one of my favorites from the Ardell. Im a newbie to false lashes. These lashes were so comfortable and it stayed on all day. The length was perfect and they looked so natural. Really liked these. These are one of my favorites...I even wear them to workout. 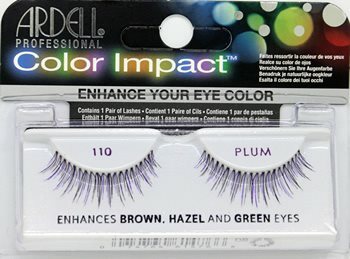 These were my starter --very first -- lashes, ever...was a great choice! I couldn't imagine a better pair to start with... I recommend these for ANYONE...esp starters or 1timers!! I've ordered many different styles from here and I think I have found my favorite. Very natural looking with just the right amount of fullness and length. Great lashes for a natural look. I really like the idea of adding some individual ones for extra oomph. You can easily wear these shopping and you won't look out of place. 110s are nice and very natural looking. I double stack the outer edge of my 110s with 2 or 3 naturals individual lashes to get this totally unique look. If you don't want the false eyelash look, count 8 to 10 lash groupings from the inner lashes (shortest first), and attach to the lid starting from the mid-line of your natural lashes to the outer corner. Then apply your eyeliner for a more natural look that can be worn throughout the day. They will stay on longer and you will forget they are there!